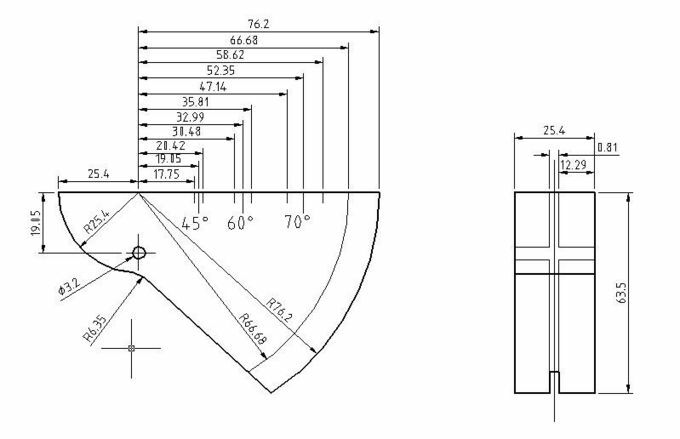 Contains a 1.0” radius opposite a 3.0” radius. 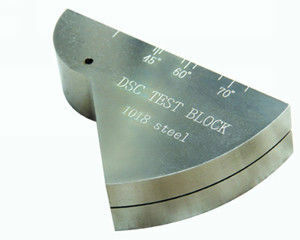 The 3.0” radius includes a 0.375” deep x0.32” wide radiused slot. 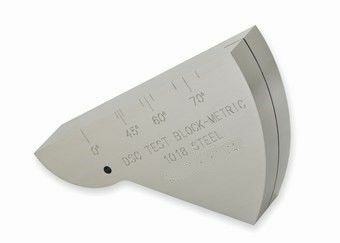 Also contains a 0̊ reference point for checking exit point on wedge, and a 0.125” diameter through hole and corresponding markings at 45̊,60̊ and 70̊ for measuring actual refracted angle. In accordance with ASTM E 164 AND AWS 6.16.1B.